It is time to discuss a passage which has yet to solicit controversy, yet may differ dramatically from the reference in your bible. Let us consider the prayer known as the Lord’s Prayer, or the Our Father, depending on your tradition. And he said unto them, When ye pray, say, Our Father who established salvation in the heavens, Exalted is your name. Your kingdom come. Your will be done in earth, as in the heavens. 3 Give us day by day our daily את eth-bread. 4 And forgive us our transgressions; for we also forgive everyone that has transgressed against us. And lead us not into the evil inclination; but deliver us from the outer darkness. After this manner therefore pray ye: Our Father who established salvation in the heavens, Exalted is your name. 10 Your Kingdom come. Your will be done in earth, as in the heavens. 11 Give us this day our daily את eth-bread. 12 And forgive us our transgressions, as we forgive those who transgress against us. 13 And lead us not into the evil inclination, but deliver us from the outer darkness: For yours is the Kingdom, and the power, and the glory, forever. Amein. This interpretation differs in many respects from other Hebrew constructs of this passage, which is reverse interpreted from the Greek, which of course, is not the original. We start with the Hebrew word for heaven, which is shamayim. Shamayim, like mayim (water) is a word in the masculine plural. Consequently, the better word is not heaven, but heavens. Shem hame phorash is a Hebrew phrase meaning distinctly exalted. It is a phrase which distinguishes the name above all others. Malchut for the word kingdom, compared with the Hebrew mamlacha is another word of particular reverence, because it discusses the kingdom of YAH, not just any secular kingdom. Malchut’cha simply means your kingdom. The phrase rhatson’cha asah, b’eretz ka’asher b’shamayim is an important one in so many ways, most of which are never discussed among the assembled believers (the kahiloth): pray that as it is in heaven, so shall it be on earth. And I will give unto you the keys of the Kingdom of YAHUAH: and whatsoever you shall bind on earth shall be bound in heaven: and whatsoever you shall loose on earth shall be loosed in heaven. What, therefore, is the key of the Kingdom? It is this very concept, that whatever is bound on earth is also bound in heaven; and whatever is loosed on earth, is loosed in heaven. MASHIACH instructs us to pray that whatever is in the heavens, may also be that which is on earth. 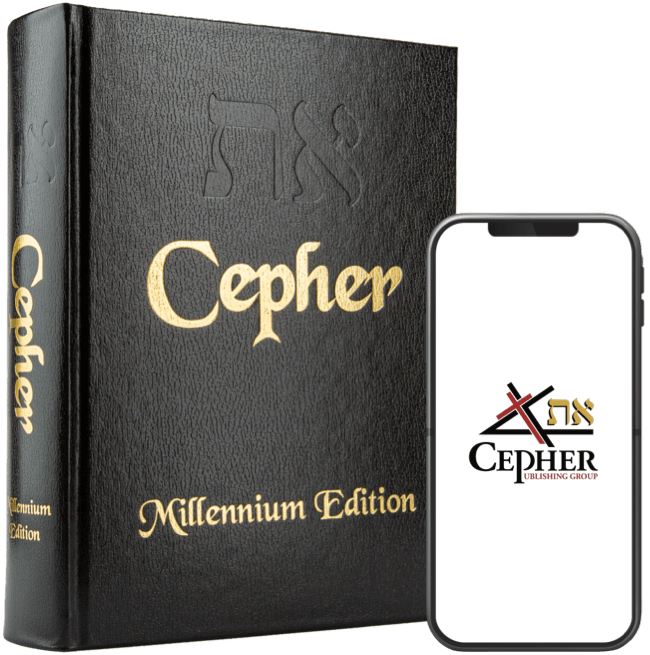 The phrase Tan-lanu haiyom eth lechem haiyom is also of great interest, and we have described it in the English as “Give us this day our daily את eth-bread.” Of course, there are those who believe that the word eth (the aleph-tav) is an irrelevant modifier; we do not agree. And in this passage, this modifier which signifies the mark of the beginning and the end, places a divine designation on this daily bread – the grain offering. Your fathers did eat manna in the wilderness, and are dead. 50 This is the bread which comes down from heaven, that a man may eat thereof, and not die. 51 I am the living bread which came down from heaven: if any man eat of this bread, he shall live forever: and the bread that I will give is my flesh, which I will give for the life of the world. Yet, MASHIACH is the way (Tehilliym [Psalms] 119:1), the truth (Tehilliym [Psalms] 119:142), and the life (Devariym [Deuteronomy] 32:46-47). This should tell you something about that which is our daily את eth-bread. And forgive us our debts / trespasses, as we forgive our debtors / those who trespass against us. The transliterated Hebrew is u’nasa lanu pesha’oth, ka’asher machah’lanu nasa pesha’oth ach’air. The operative word in this phrase is pesha’oth: does it mean trespasses, or debts? The singular of this word is (פֶּשַׁע) pesha`(Strong's 6588), which means rebellion, sin, transgression, or trespass. But he was wounded for our transgressions (פֶּשַׁע) (pesha’oth), he was bruised for our iniquities (עָוֹן) (avon): the chastisement of our peace was upon him; and with his stripes we are healed. The word pesha’oth is interpreted as transgressions 47 times in scripture, and only 5 times as trespasses. It is never interpreted as debts. Let’s consider our next phrase: Lo’naha lanu yetzer hara. What is this yetzer hara? Yetzer or yester (יֵצֶר) yester (Strong's 3336) means figuratively, a conception (i.e. purpose); a frame of mind, the thing framed, the imagination, the mind, or the work of the mind. means adversity, affliction, bad, calamity, displeasure, distress, evil, and so forth. Yetzer ha’ra means the evil state of mind, or the evil inclination. The Greek is reduced to lead us not into temptation, but we believe the classic phrase is better stated as evil inclination. And YAHUAH saw that the wickedness (ra – רַע) of man (adam – אָדָם) was great in the earth, and that every imagination (yester - יֵצֶר) of the thoughts (machashabah - מַחֲשָׁבָה) of his heart was only evil (ra - רַע) continually. Finally, for yours is the Kingdom (kee lan ha’malchut,), and the power (ha’gevurah,), and the glory (u’ha’tipharah), forever (la’olamei olamiym,). Amein.